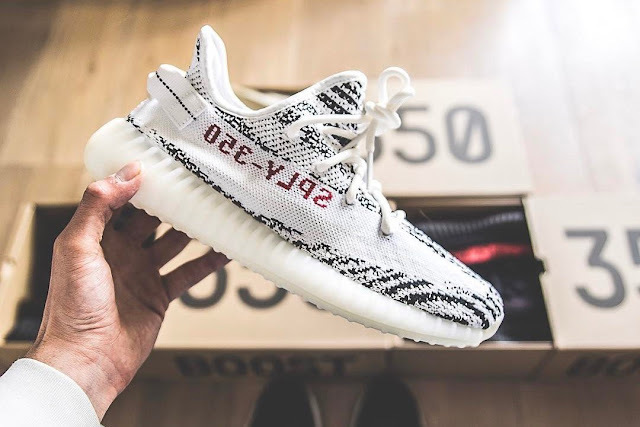 The "Zebra" colorway of the Adidas Yeezy 350 Boost V2 model is one of the most hyped and valuable pairs out of Kanye West's line of sneakers, mostly due to how hard they were to get on release day. They were also super limited. For those who missed out though, June 24 is your lucky day. It looks like the shoes will be restocking that day, and they will be available at bigger retail chains like Foot Locker and Champs Sports. According to Hypebeast, expect the distribution numbers of this restock to be similar to the wide release of the black-and-red Yeezy V2s, while still being more limited than the all-white "Cream" pair.